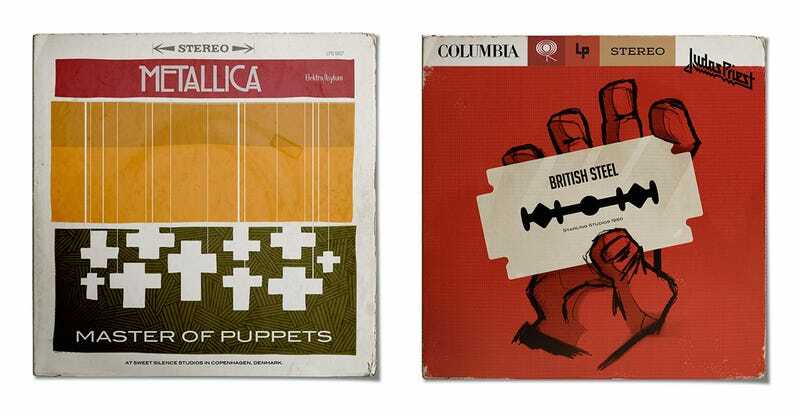 Look at the covers of all your favorite metal albums. While they'll probably fall into a few different schools of design, you can bet not a single one looks like anything that came out of the 1950s jazz scene. But judging from Brazilian designer Rafael Melandi's redesigns—maybe they should have. I find that [Blue Note-era] jazz records covers have the same force and intensity as metal albums do – not needing to represent them with shocking images like blood, gore and 'scary' illustrations like metal. And it would certainly seem like he's succeeded. Because while the classics are great, a few these—the Motörhead and Black Sabbath covers, specifically—are even better than the original.